The USSA continues to work to stop the nation’s leading anti-hunting organization from dipping into the pockets of country music fans who happen to be hunters, anglers, and trappers. As reported previously, Carrie Underwood’s song, “Home Sweet Home,” is played as the farewell song on each episode the hit show, American Idol. A portion of sales of the song are being forward to the virulently anti-hunting Humane Society of the United States (HSUS). 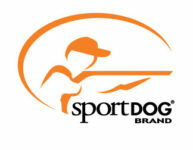 The USSA is working to stop the promotion as a way to blunt the HSUS’s ceaseless attacks on sportsmen’s rights. On March 18, the USSA sent letters to Carrie Underwood’s management company, 19 Management, and the head of the Sony Music Corporation that runs her record label, Sony Nashville. The letters outline the real agenda of the HSUS. They also express the outrage felt by the USSA and many thousands of sportsmen nationwide over donations to the HSUS from the proceeds of Underwood’s latest song while urging the financial relationship end. The USSA will report immediately upon the response from 19 Management and Sony Music Corp. The USSA thanks the thousands of sportsmen made phone calls and sent faxes and e-mails to Fox Broadcasting urging them to not give the song a national platform to drive its sales. Though Fox and American Idol have declined to stop using the song during the show’s telecast, sportsmen should keep bringing the heat. Companies such as Iams, General Mills, Accor Hotels, Sears, and Ace Hardware ended relationships with HSUS after thousands of sportsmen levied strong protest.